SDN-Enabled Colocation - Exponential-e Ltd.
We understand just how important Colocation is for your business. In order to ensure high availability and bullet proof resiliency, we have invested half a million pounds into the Data Centre network alone to provide military-grade connectivity into your IT infrastructure 24 / 7 x 365, backed by world-class customer service support. Our Enterprise-class Colocation offers fast deployment with preconfigured racks designed for your business. What Makes Exponential-e Data Centre Services Different? Our Network integration is second to none, both inside the Data Centre and outside through our Network infrastructure. All connectivity to your services is fully diverse utilising a minimum of two fibre routes into the Data Centre facility, which is a fully resilient core node within the Exponential-e 100GigE Network. We have deployed a multi-terabit optical transport Network across our UK Data Centres, able to leverage dense wavelength division multiplexing (DWDM) for increased bandwidth utilisation at the highest carrier-class standards. Inside the Data Centre, the dual design means there is no single point of failure. Best in class Network switches and Connectivity to the cabinet together with our technology provides space, power savings, flexibility and support to multiple client interfaces. 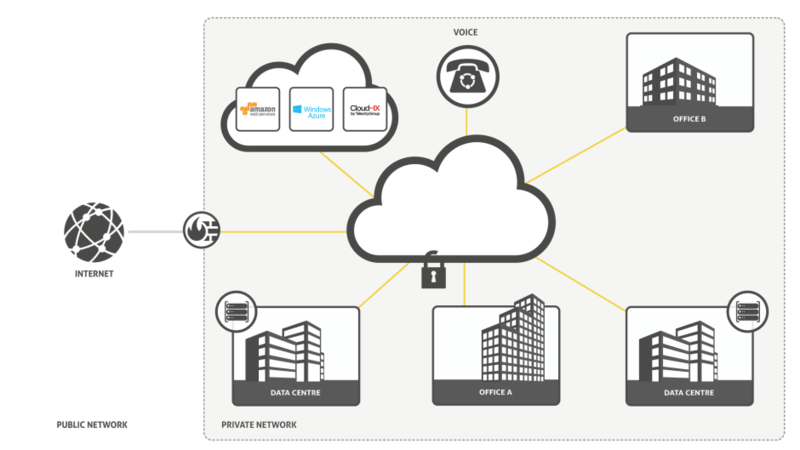 With integrated Cloud-ready and software-defined Networking (SDN) capabilities. Exponential-e removes the connectivity limitations of different services across Data Centres, Clouds and the corporate WAN, everywhere. Driven by our underlying multi-terabit SDN core fabric architecture and NFV capability, high performance services satisfy critical workload requirements and provide predictable Cloud SLAs. Multipoint to multipoint communication between Data Centre servers, irrespective of geographic location, increases your application-aware capability when it comes to optimising Network performance, policy-driven automation, Business Continuity and Disaster Recovery. High-performance storage resources independent of server platforms are interconnected into your racks. As storage is managed centrally, custom built storage tiers fit your budget and performance, including options for performance-tiered flash storage for different applications. Set how and where you access your data to enable increased control, availability and efficiency. The high speed storage area Network (SAN) will meet your bandwidth requirements to handle data traffic at peak business times. With integrated Cloud-ready and software-defined Networking (SDN) capabilities Exponential-e removes the connectivity limitations of different services across Data Centres, Clouds and the Corporate WAN, everywhere. We provide an extended performance guarantee. 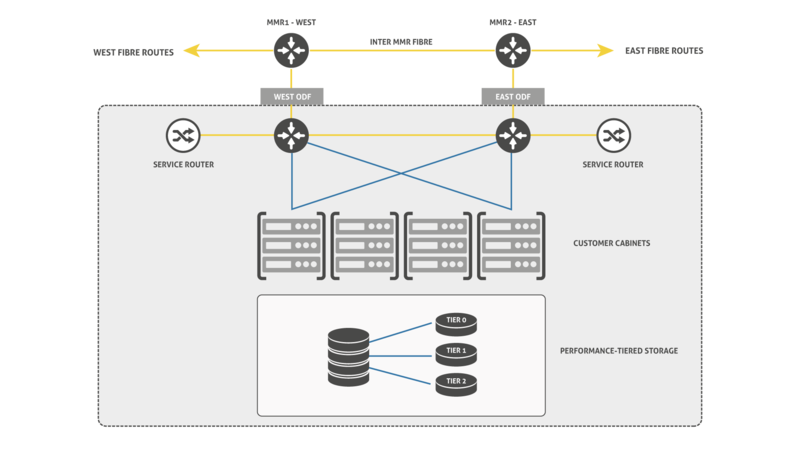 Access to Exponential-e's Layer 2 100GigE core Network enables a true end-to-end solution under one service level agreement (including data centre infrastructure, Connectivity quality of service, and world-class support). With other providers you will need a contract for the Network services. Standard suppliers will give you a guarantee of power and connectivity uptime, possibly with guidelines around temperature. Our service agreement includes power and connectivity availability, as well as latency, packet loss, controlled temperatures and humidity levels. We provide 100% uptime and sub 1 millisecond latency to the major UK Internet hubs. Our expertise enables fast deployment with preconfigured racks designed for your business. What's more, with our own Network and VPLS technology innovation, we can deliver multiple services over one connection, providing you with access to a full portfolio of managed services. Bringing your IT infrastructure closer together enables a better service experience. We provide enterprise-class Connectivity with a solution delivered on your LAN enabling private and secure IT on the clean side of the Firewall. Our private dedicated Connectivity bypasses the public Internet, providing predictable latency and high performance access to your IT environment. SAN fabric Network enabled to the cabinet. Private, business-only Layer 2 100GigE core Network. Highly accredited with 8 ISOs.